PT Kalbe Farma Tbk - Kalbe (IDX : KLBF) or referred to as "Kalbe Group" is the largest public-listed pharmaceutical companies in Indonesia. Headquartered in Jakarta, Kalbe Group has strong business competencies 4 business pillars, namely prescription pharmaceutical division, consumer health division, nutrition division, and distribution & logistics division. The Company was first established in 1966 as a garage-operated pharmaceutical company. In 1991, the Company went public and its initial public offering (IPO) on the Stock Exchange. Kalbe Group's shares are registered under stock code KLBF. As of December 2016, Kalbe Group is 10.17% owned by PT Gira Sole Prima, 9.66% by PT Santa Seha Sanadi, 9.49% by PT Diptanala Bahana, 9.47% by PT Lucasta Murni Cemerlang, 9.21% by PT Ladang Ira Panen, 8.50% by PT Bina Arta Charisma, and the remaining is held by the public (43.50%). 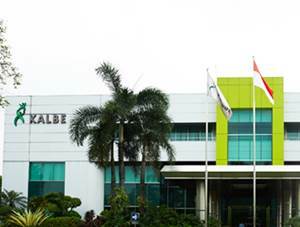 As of December 2016, Kalbe Group runs its business through 2 Regional Distribution Centers, 71 branch offices, and 35 subsidiaries/affiliated companies. According to PT Kalbe Farma Tbk Annual Report 2016 as cited by JobsCDC.com, Kalbe Group generally recorded a good performance in 2016. Kalbe Group registered a 8.3% growth in total sales value of Rp19.40 trillion as compared with Rp17.9 trillion in 2015. Referring to its annual report, Kalbe Group was able to record net income of Rp 2,300 billion, an increase by 14.77% or Rp44 billion from Rp 2,004 billion in 2015. Minimum education background in Apothecary Program from reputable university with minimum GPA of 3.00. Willing to be located in Cikarang. Required experience for minimum 1 year in pharmaceutical industry as Quality Assurance or Quality System. Advanced knowledge of GMP / GDP / GDOCP. Willing to be located in Pulomas, East Jakarta. Required experience for minimum 2 years in pharmaceutical industry as Quality Assurance or Quality Control. Previous experience as Auditor or Self Inspector. Minimum education background in Bachelor Degree of Pharmacy or Apothecary Program from reputable university with minimum GPA of 3.00. Required experience for minimum 3 years in pharmaceutical industry as Quality Assurance or Quality Assurance. Good management, leadership and people management skills. Advanced knowledge of GMP in Biotechnology area. Minimum education background in Bachelor Degree of Pharmacy/Pharmacology or Apothecary Program from reputable university with minimum GPA of 3.00. Required experience for minimum 2 years in pharmaceutical multinational company as Regulatory Officer/Supervisor. Advanced knowledge about regulatory for biological products. Good communication, negotiation, and interpersonal skills. JobsCDC.com now available on android device. Download now on Google Play here. Please be aware of recruitment fraud. The entire stage of this selection process is free of charge. PT Kalbe Farma Tbk - Fresh Graduate, Experienced Officer Kalbe January 2018 will never ask for fees or upfront payments for any purposes during the recruitment process such as transportation and accommodation.